Land of the free, home...on the range! This estate will have you saying "Yes, darling" with one look. For $5.9M, this nine-bedroom, 15-bathroom home can be yours. It sits on a pretty 6-acre lot overlooking the gorgeous Galveston Bay, right outside of Houston, TX. 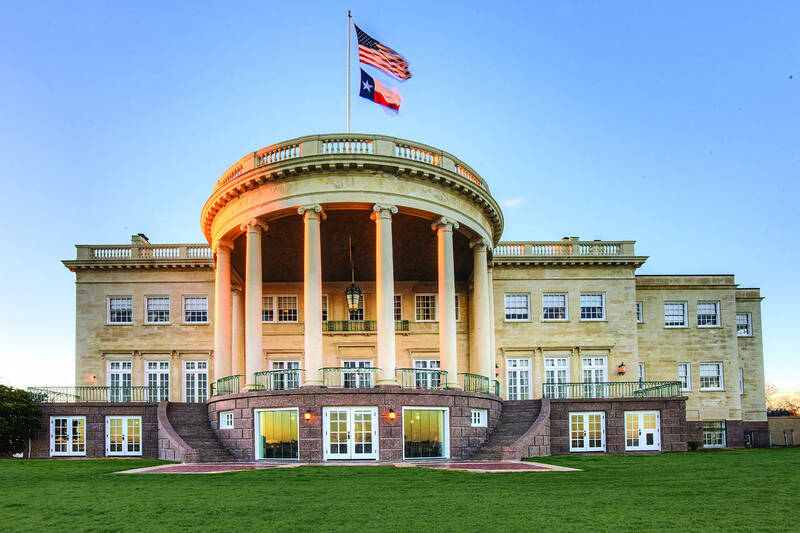 The nearly 100-year-old estate was built and designed exclusively for the then-governor of Texas, Ross Sterling. Much of the house has been restored and modernized but in a mansion with this much charm, outdated Southern flair would still fare just fine. 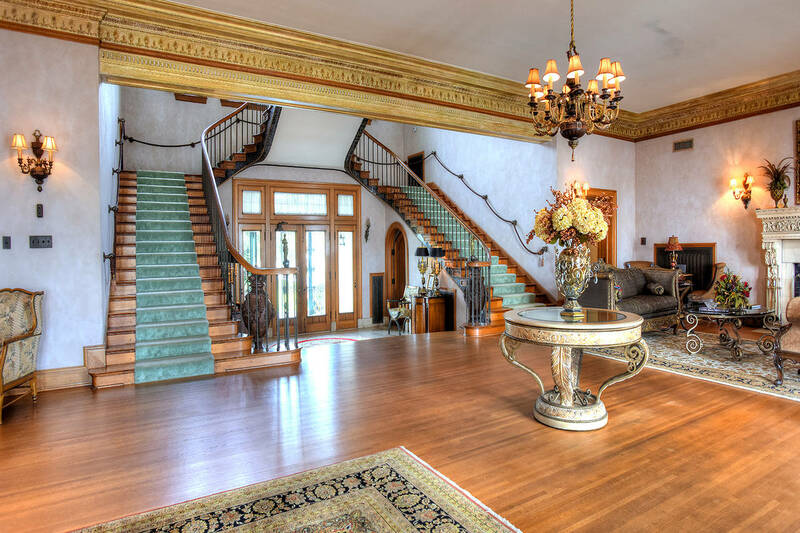 The home boasts unbelievable features that make one feel like they just stepped in to an Old Money fantasyland. In true Texas fashion, there are two parlors with their own separate powder rooms (one for the ladies and one for the gents, of course). Take a walk down the grand double staircase and plop yourself in a swoon-worthy chair in the massive library, or enjoy a game of pool in your billiards room while you slowly smoke your cigar. Entertaining guests will also be no problem, granted you can seat them in your 43-foot-long great room when they're not spinning in circles in your banquet-worthy ballroom. The home (which covers upwards of 21,000 sq-ft) is smaller than the White House in size, but it's the attention to detail on the outside that drives the replication home. The rotunda portico, which towers a massive 22 feet above, is columned and built with an uncanny resemblance to the South Portico at the White House. The decor wouldn't be complete a giant flagpole of course, because nothing says "America" more than the Lonestar State.